← If it rains 1″ or more on your wedding day, you will get your diamond ring for FREE! What Push Present gift will William give to Duchess Catherine? 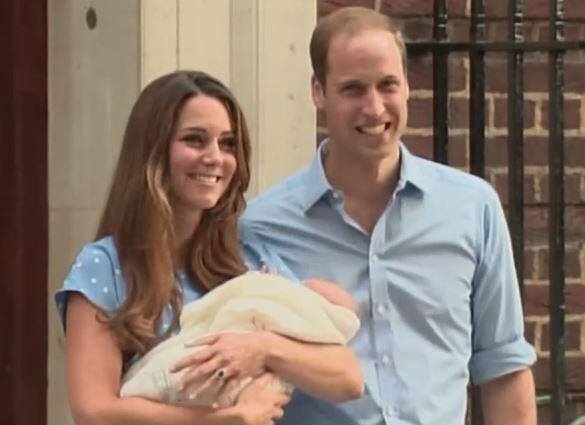 The whole world wondered when Prince William and Duchess Catherine would give birth, and it seemed like everyone was joyful to hear the news that she gave birth to a baby boy yesterday! Congratulations to the new parents! Now we will just have to wait to see what they name him! Will Prince William give Catherine a Push Present? If you don’t know what Push Presents are, they are wonderful way to remember the birth as well as to honor the mother. A push gift or push present is a meaningful gift given by the significant other or close family members to a woman who has just given birth or is about to. We have some ideas for Push Presents! Give the love of your life a Juno Lucina Push present! It is a great way to show a deep appreciation for a woman’s experience during the pregnancy. In addition, this gift will show your gratitude for the child she blessed you with. Charms are also a wonderful way to remember the special day, and she can add to the charm bracelet or necklace, from year to year. See our collection of Juno Lucina jewelry as well as our Rembrandt Charms. This entry was posted in Celebrity Jewelry, Jewelry, Jewelry News, Jewelry Trends, Jewelry Trivia & Facts and tagged duchess catherine, Jewelry, jewelry warehouse, new royal baby, prince william and duchess catherine, push present for catherine. Bookmark the permalink.